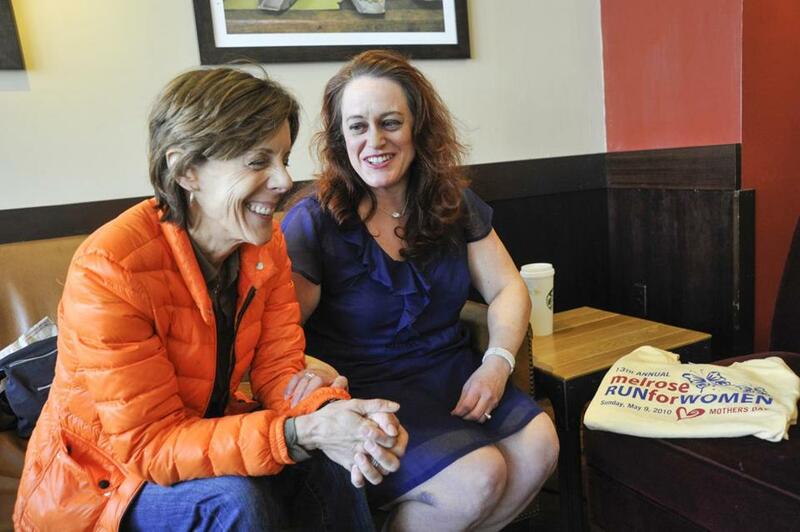 On Mother&apos;s Day this year, Elizabeth Keeley, a retired assistant district attorney, will continue a personal tradition: running the Melrose Run for Women with a former client, a victim of domestic violence. For Lisa Mucciarone, the only thing harder than leaving her husband would have been not to. For more than a decade, paranoid that she was cheating on him, he regularly beat, cut, and raped her, and often verbally attacked her in front of their three children. On Feb. 14, 2006, everything changed. After hours of physical torture, restraint, and intimidation with a large kitchen knife, her husband’s steady breathing signaled that he was asleep, and Mucciarone jumped at the opportunity to escape. Leaving her children in their beds, she snuck silently out the back door of their Malden home, drove far enough away to be safe, and called police. A year later, Mucciarone met the woman who put her husband in jail, who she now calls her angel and “personal prosecutor”: Elizabeth Keeley, formerly an assistant district attorney and criminal trial lawyer with the Middlesex district attorney’s office. Every year since winning their case, Mucciarone, 48, and Keeley, 58, participate in the Melrose Run for Women on Mother’s Day, to reflect on their fight for justice and to continue to raise awareness about a topic they know all too well. The 3.5-mile run, facilitated by the Melrose Running Club , attracts hundreds of women and children every year and benefits the Melrose Alliance Against Violence . Last year, the event raised $22,000 through sponsors and entry fees, adding to the $130,000 total the run has raised for MAAV in the past 15 years. With Mucciarone’s careful recollections and abundance of evidence and Keeley’s dedication to the case, Mucciarone’s former husband received a 15- to 20-year sentence in a maximum-security prison. For Mucciarone, the run means being able to spread the antiviolence message that she said she didn’t get enough of when she was growing up. “I think every kid in grammar school should know the warning signs. I wasn’t educated in it,” said Mucciarone, who added that by the time she read a book about personalities of abusers, she was married to one. Keeley said that women in the suburbs have an especially hard time getting out of violent situations at home. Keeley said domestic violence cases are difficult because the fear and intimidation that abusers instill in their victims often makes them hesitant to report the violence. Victims worry that if their case falls through, the act of speaking out will instigate their abuser to attack again. Mucciarone said she endured extensive physical pain in order to be able to provide the evidence needed to put her former husband away. “I knew that I needed it to get as bad as I could let it get without actually dying,” said Mucciarone. Mucciarone and Keeley hope that by participating in the Melrose Run for Women, in addition to the MAAV Annual Walk and Candlelight Vigil in October, they can encourage domestic violence victims to get out before it’s too late. Mucciarone’s children have since picked up on her inner strength. “She didn’t run away,” said Keeley. “She didn’t abandon them. She stood her ground and stood up to him, and he went away, and she stayed and took care of them.